As we get into more advanced web design, we will all most likely want to add various pages to our websites, in addition to the home pages we have already set up. By linking from a page within your website to another page within your website, you are using relative links. For example, you may want to link to an “assignments” page from the home page for in-class writing and other posts. In order to fashion another page in your website, you must create another html file apart from your home page’s file (index.html). 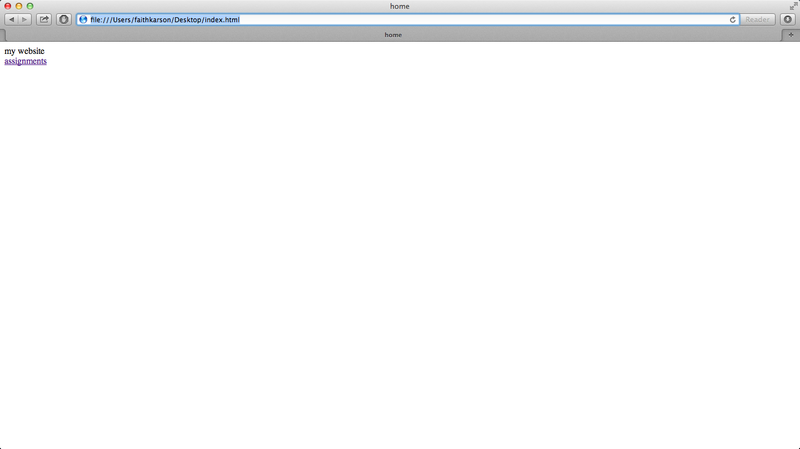 Using the example that I have started above, we’ll call the file assignments.html. Though this post will not cover how to make the file, it will cover the procedure to follow to make sure you have a way to travel from your home page to the “assignments” page. Once you have the assignments.html file made and formatted it in the way you want, you must upload it in the same way that you uploaded index.html. BE SURE that you name your file the same thing as you type, otherwise you won’t be able to access it! The display text can say whatever you want, though! 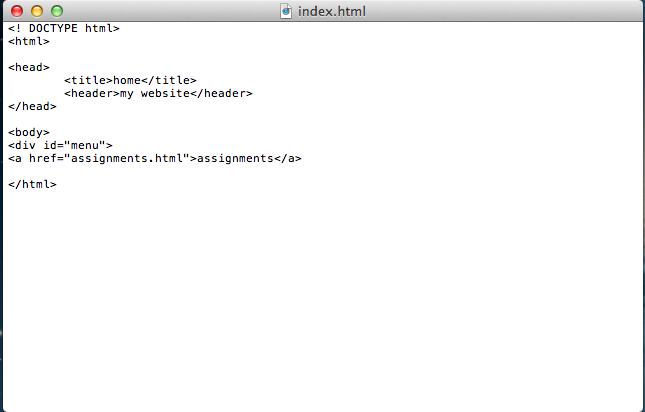 As long as you have also uploaded your assignments.html file, you can click the link and you’ll be directed there. For more information on relative links, look to page 51 in Felke-Morris’ Web Development and Design Foundations. ~ by flkarson on September 22, 2013. The expressive style of this blog post was the most engaging for me, personally. The tone of the writing was informative, concise, and exact. I especially liked how a warning against common mistakes was highlighted in its own line of text. Another aspect that made the blogpost easy to read was the sparing use of pictures which also provided as much context for what the reader will encounter as possible (i.e., the entire browser window, or the entire text editor window. Final thing: further reading is always appreciated. I found this post to be particularly helpful because I was having difficulty this week trying to make another webpage link to my homepage. I think that the instructions are thorough and clear and I appreciate that you cited a page in our textbook for more information. Also, I did not know that when linking to an internal page, you don’t have to use the entire link just the file name and this is a good tip that I will keep in mind for the future.